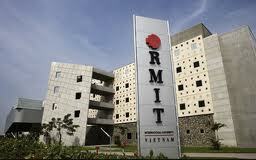 Scholarships are initially for one year but are reassessed at the end of your first year at RMIT. The value is $5000 per year. If you are already studying at RMIT and have completed the first year of one of the above programs you may still receive a scholarship. This could happen if not all the available scholarships were allocated to new students that semester. There is no scholarship application form; your application for the Master of Biotechnology (by coursework) program automatically enters you for the scholarship. The Scholarship Selection Committee will consider your academic results from your undergraduate degree when assessing you for a scholarship. There is no open or closing date. You will be notified about whether you have received a scholarship by 30 June for the July intake and 15 February for February intake. Demikianlah informasi mengenai Master of Biotechnology by Coursework Scholarship, RMIT University, Australia semoga berguna bagi anda.